50mL Digestion Vessel with CLEAR Screw Cap, Graduated, Polypropylene Flat Bottom. Box of 500. 6/15/2016 – Are these autoclavable or can they be purchased sterile? Response From Texas Scientific Products: Thanks for your interest in our products! These tubes are made from Polypropylene which will determine the max temperature of autoclave sterilization procedure. 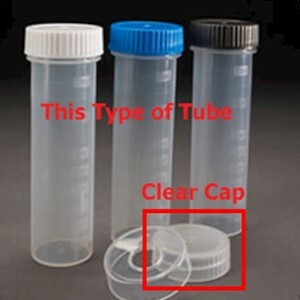 If you are looking for a Sterile 50mL tube - we have a different product, part # 50-62559. It is also a freestanding style and has been very popular for clinical applications.